THERE IS NO RETURN POLICY! THIS IS CUSTOM ART WORK NOT WALMART. When you purchase any Soulsby Art Series, no returns will be honored under any circumstances. When you purchase a custom order, you will be required to pay half of the total fee charged upon placement of your order. If you choose to cancel your order prior to completion of the project, your deposit and any other payments remitted to Soulsby Art will be NON-REFUNDABLE. If you choose to cancel your order once the project is complete, you will be obligated to remit FULL PAYMENT for the purchase of any order placed. Once your custom order is complete you will be required to pay the full amount due BEFORE delivery and no returns or refunds will be honored for any reason. Each Soulsby Art Series comes with a custom designed frame which is included at no additional charge. Should you choose to purchase a Soulsby Art Series without framing, the cost of the art will remain the same. However, in the event you choose to order a Soulsby Art Series which includes a request for special or unique framing which is not included with your standard Soulsby Art Series, there may be an additional up-charge for the change order. For example: You order a Minimalist Series piece, (the Minimalist Series includes a stained wood frame standard with each purchase), but request a custom metal frame instead of the standard wood frame: Soulsby Art will add an additional up-charge equal to the cost of the change ordered frame. For example: You order a Minimalist Series piece (the Minimalist Series includes a stained wood frame standard with each purchase), and request the Soulsby Art Series to come unframed: Soulsby Art will NOT reduce the price of your purchase. Any Soulsby Art Series purchased through this Soulsby Art website will require payment made through a secured credit card operator, supplied by Square Space website. Any Soulsby Art Series purchased in person and/or from an exhibit shall have the option to remit pay via credit card through a secured online service, with pick up in store OR shall have the option to remit payment via cash in person, with pick up in store. Clients may choose to purchase any Soulsby Art Series via Venmo as a form of payment, made payable to "@lindsaysoulsby". Clients may choose to purchase any Soulsby Art Series via PayPal as a form of payment, but shall be charged an additional 3.5% processing surcharge added to the total cost of purchase. Clients who choose to remit payment for any Soulsby Art Series via check: ALL CHECK PAYMENTS must be made IN ADVANCE. A contract for purchase of the Soulsby Art Series will be provided to you once your check payment has been received, the terms of which will state that once your check has cleared the bank, in its entirety, you will be able to pick up your art or have your art delivered to your home, subject to location and/or availability of delivery services. All use of this website is subject to the following Terms and Conditions: If you do not agree with these Terms and Conditions, please do not access or use this website. These terms may be changed by Soulsby Art, LLC at any time without notice. Your use of the website constitutes your agreement to be bound by these terms. The descriptions, blogs, items available for purchase, photographic images, and any other contents of this website are provide for informational purposes only. You may not rely upon the contents of this website as any duty or obligation for Soulsby Art, LLC to provide any item, image, or other content exactly as depicted in this website. The contents of this website do not necessarily represent the opinions of Soulsby Art, LLC or its customers. Soulsby Art, LLC does not guarantee the confidentiality of any communications sent by e-mail or through this website. Accessing or using this website does not necessarily create a customer relationship with Soulsby Art, LLC. Although the use of this website may facilitate access to or communications with employees of Soulsby Art, LLC, receipt of any such communications or transmissions by any employee of Soulsby Art, LLC does not create a customer-retailer relationship, unless Soulsby Art, LLC agrees to such relationship. Although Soulsby Art, LLC has made reasonable efforts to ensure that the materials, depictions, descriptions, images, etc. contained on this site are accurate, it does not warrant or guarantee: the accuracy, currency, or completeness of the materials; that the site will be available without interruption, error or omission; that defects will be corrected; or that the website and the server(s) that make it available are free from viruses or harmful components. Soulsby Art, LLC and its partners, agents and/or subsidiaries shall have no liability for any damage arising from the misuse of the information provided on this website or the misuse of any item purchased through this website. There may be links throughout this Soulsby Art website to third party sites. These links are provided for convenience only, and do not mean that Soulsby Art, LLC endorses or recommends the information contained in linked websites, or guarantees its accuracy, timeliness or fitness for a particular purpose. 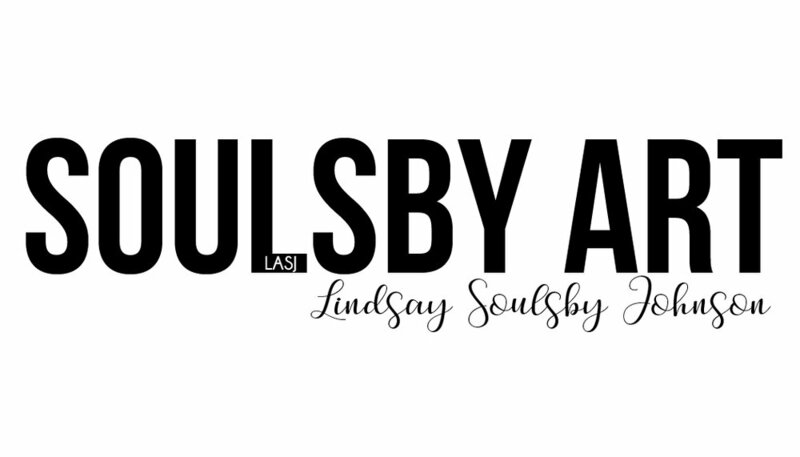 Soulsby Art, LLC takes no responsibility for the content or practices of third party sites. Soulsby Art, LLC may collect, store and use certain, limited information relating to your use of this website. The information we collect about website visitors does not enable any visitor to be individually identified, is processed only in anonymized, aggregated form, and will be used solely for website analytical purposes. Soulsby Art, LLC prides itself in maintaining confidentiality in any data collected. WE DO NOT DISCLOSE ANY NON-PUBLIC PERSONAL INFORMATION ABOUT YOU WITH ANYONE FOR ANY PURPOSE THAT IS NOT SPECIFICALLY PERMITTED BY LAW. We welcome your feedback, if you have questions or comments about the Soulsby Art website, the legal notices contained herein or any other polices or procedures, contact our marketing department at soulsbyart@gmail.com. Soulsby Art, LLC is represented by Katherine M. Sager, Esq. of Sager Law Firm, P.A. All contracts and other terms and conditions contained in this website are legally binding & a copy of which will be provided by Sager Law Firm, P.A.